The Louisiana Legislature is a cotillion of knuckleheads, a debutante ball for obstructionists, the culmination of politics at its lowest level. Already on the declining side of a three-week special session, the House has finally started passing a few bills to begin repairing damage done by Bobby Jindal. However, much is left to be done, and most of what has been done is at best partial and temporary. Though Gov. John Bel Edwards did get his penny sales tax through the House, albeit only for an 18-month duration, the budget is still $200 million short for the mid-year, money needed to save higher education from devastating cuts. Did House members keep working all weekend to guarantee a balanced budget? Of course not. Instead, on Feb. 26, before the weekend, a bizarre dance occurred, in which key House members spent hours grilling their non-political staff in an unprecedented fiscal note hearing, a fishing expedition about the numbers behind various revenue proposals. This was at best a sleight of hand game to take the focus off the legislators’ failure to do their jobs—which was not done for nearly a decade under Jindal. 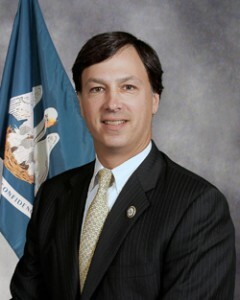 By attacking the legislative staff, Cameron Henry, the de facto Speaker of the House, a Republican from Metairie, and Neil “Neildo” Abramson, a big business attorney from New Orleans, the scourge of the Democratic Party (He single-handedly sabotaged the governor’s pick of Walt Leger as Speaker. ), they wished to stall the progress of the legislative session and strategically monkey wrench attempts to fix the budget. I guess it makes them feel good to grandstand. Anything to keep from addressing the disaster they helped create. Where were they and others when the Office of Group Benefits was robbed of 100s of millions of dollars and Elderly Affairs pillaged? Henry and Abramson were sucking up to Grover Norquist, a fat cat lobbyist and Jindal’s twisted conscience on tax policy. Republican Sheriff of Jefferson Parish Newell Normand made headlines on Feb. 23 by saying Jindal was a cult leader like Jim Jones and an idiot. Unfortunately, “Jim” Jindal’s followers are still running the show in the Louisiana House of Representatives. While the poor and working class get hammered by higher tuition, lack of social services, healthcare outcomes as bad as the developing world, and tax hikes as tall as a bald cypress, the wealthy and corporate elite take a walk unscathed. Thanks, knuckleheads. We expect nothing less. Will the Legislature fix the current mess and save higher education and health care? They only have a few days left to do so, and it remains to be seen. Work needs to be done. Playing games and dancing to the beat of a numbskull drummer won’t solve Louisiana’s problems. 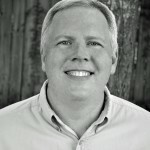 Support Talk About the South: Buy a book by Dayne Sherman, the author of the novels Zion and Welcome to the Fallen Paradise, both $2.99 ebooks. Signed first editions are available from the author. And he does not speak for any of his employers.